Tara is another of those special stories that grabbed many people’s hearts. 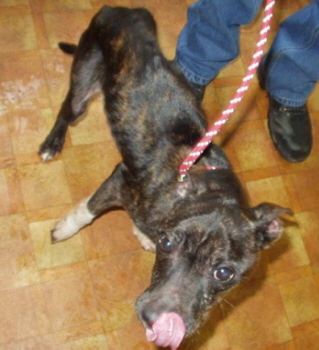 She was found emaciated, malnourished and neglected. 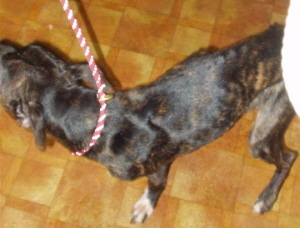 The RSPCA tended to her most urgent needs and had hoped to present a case for prosecution. 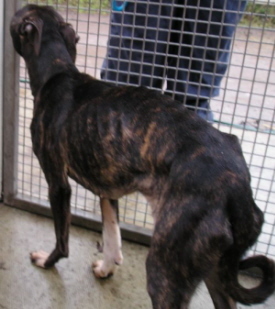 However their enquiries were thwarted by tales that Tara had been sold on and changed hands, and in the end there was insufficient evidence to connect Tara to the person logged on her microchip. 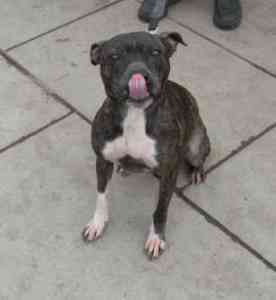 All plans for a court case were scrapped, and Tara found herself in the pound to complete her statutory 7 days. 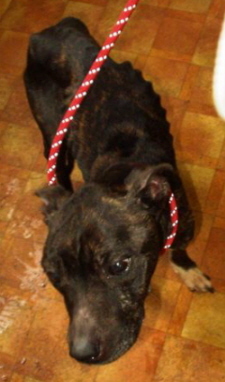 Tara's starvation level was such that she had some kidney problems, and had to be kept on a specialised diet while her frail body healed. It meant she needed small frequent meals, and careful observation. A special rescue space was needed. 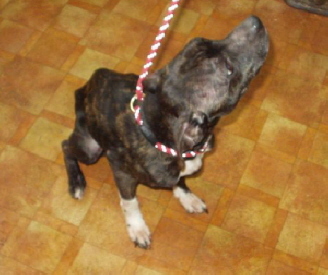 Despite her condition and previous neglect Tara was always friendly and loving, seeking out attention and wanting to play. She gained weight slowly and her kidneys began to improve. Several weeks later we heard the good news that her kidney tests were now clear, and she had been moved to a puppy food to help build her up. She then weighed in at 9.8kgs. Tara continued to gain weight, and her condition improved so well that a foster home was being sought for her…and then we got the news we’d all been praying for. Tara had found a loving forever home! 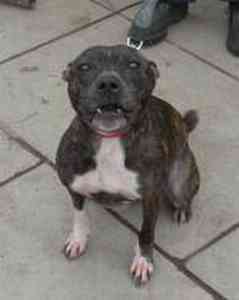 Now weighing 12.45kg, Tara is a bundle of Staffie fun and energy. 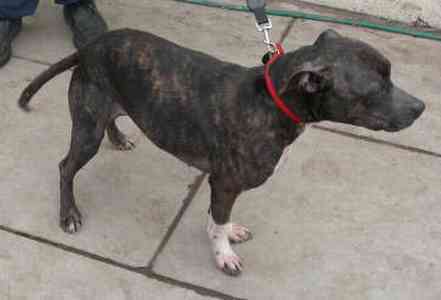 She looks so well, and so different from the starved little girl that arrived in the pound. Good Luck to you Tara, we wish you and your family many happy years together.